From beyond the wall that separates us from the world of demons, they crawl, and sometimes there seems to be very little we can do, but we try to fight against them and against the unknown powers they possess. The cases of demonic possession and our efforts to fight against these sinister beings are numerous, coming from all over the world. Like the one that happened on an Air China plane, where the pilot was forced to return 20 minutes after taking off at Beijing International Airport because a passenger claimed to have been possessed by “evil spirits”. However, after the passenger regained consciousness, she told the flight attendants that there were things that had “possessed her body” causing a scene of terror on the plane. The video recorded by another passenger shows about six people, including medical personnel, trying to calm the woman. The incident took place on flight CA 4102, scheduled to make the trip between the Beijing Capital International Airport and the Chengdu-Shuangliu International Airport, in Chengdu, on December 20. “Do not! Do not touch me! Do not push me! “ Cried the woman when the flight attendants tried to help her. 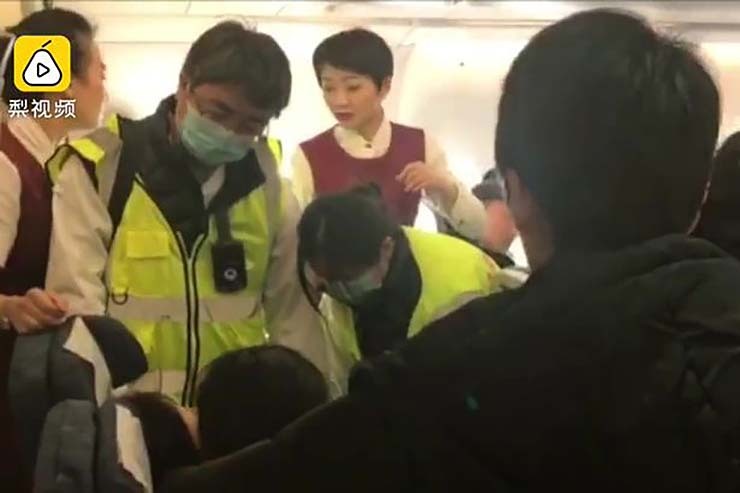 The captain of the plane decided to return to the Beijing International Airport , so that the medical services could attend to the passenger. However, the woman refused to be seen by a doctor. She requested to see the captain. 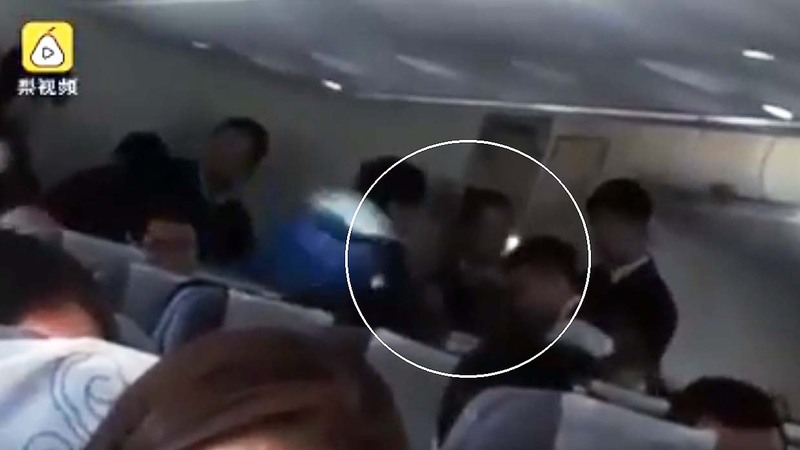 According to the Chinese website Weibo, the passenger refused to cooperate and attacked an air safety officer after the plane landed. A spokesman for Air China said the flight returned to Beijing International Airport at 12:27 in the afternoon, approximately 40 minutes after takeoff. This strange incident has provoked all kinds of reactions in social networks, where some believers of the paranormal have assured that this is a clear example that demonic possessions can happen at any moment. But apart from the opinion of some, what is clear is that the concept of physical possession by demons or spirits is generalized in all cultures and religions, and represents what seems to be a fundamental fear that humans have; that we are not alone in this reality. And as long as this belief persists and cases like this continue to occur, there may always be that macabre curiosity about what is really behind all this.